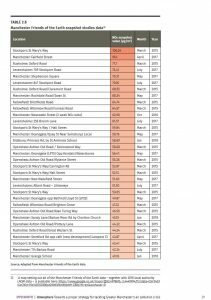 The levels of air pollution in Greater Manchester are lethal and illegal. In groundbreaking new analysis, King’s College London (KCL) has estimated that 1.6 million life years will be lost in Greater Manchester in the coming century due to its poisonous air. This is equivalent to each of us having our life expectancy reduced by six months. Using the 2011 baseline, NO2 pollution alone was estimated to have caused up to 1,781 premature deaths in Greater Manchester and particulate matter pollution up to 1,906 premature deaths. 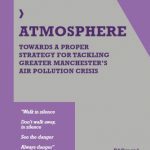 Devolution allows the Greater Manchester mayor to take responsibility for this clean air agenda and do more, much more quickly, but national government must act urgently too to give the mayor the tools necessary to save lives and the £1 billion annual cost to the Greater Manchester economy. 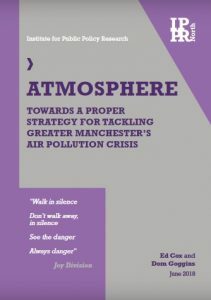 The report was launched on Thursday 15th June at the Oasis Academy in Salford and was featured in the Manchester Evening News (Greater Manchester’s deadly air pollution crisis is worse than London, new research has warned), Guardian (People in Manchester ‘exposed to dangerous levels of air pollution’) and in on Granada TV ‘Good Morning Britain’ and BBC NorthWest Tonight.